The Black Bag Media Collective is an artist-run, not for profit collective of artists working across disciplines in Media Arts, live performance, music and audio, and emerging technologies. 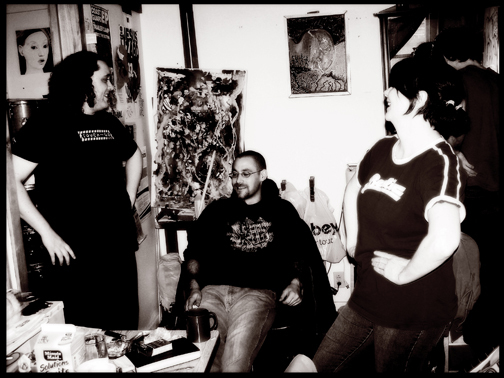 The BBMC produces quality works of art, recordings, and performances by collective members and their associates. The BBMC also supports the production, presentation, documentation and dissemination of the work of independent artists – especially those producing independent music, live performance, media arts and working with emerging technologies. The BBMC was co-founded by and is committed to supporting and presenting the work of Artists Living with Disabilities, LGBTQ Artists, Women Artists and to promoting social justice and freedom for people of all backgrounds and identities. WHAT WE DO – Since founding in 2004 the collective has remained production and project focu sed, with a history of producing audio recordings, live performance art works, rock shows, video screenings, conferences, networked performances, symposia and workshops to develop, showcase and support the efforts of collective members and their collaborators. We promote artist development through regular programming of open stages, open studios, and workshops. We are also a record label boasting sixteen releases and we run a re-configurable, multi-use studio space in Toronto for audio recording, video editing, studio work, rehearsals and live presentations. ODYSSEY SIMULATORS – In 2012 The BBMC took over the management of the Odyssey Simulators, a cluster of contemporary art and performance simulators on the Internet. Odyssey hosts an array of artists from around the world who use virtual spaces to create and present new work in audio, video, performance and digital media. We regularly present installations, exhibits, performances and networked festivals – including three incarnations of the pioneering online festival – The Odyssey Performance Arts Festival (2009 – 2013), The Chromatose Anymation Festival (2010). 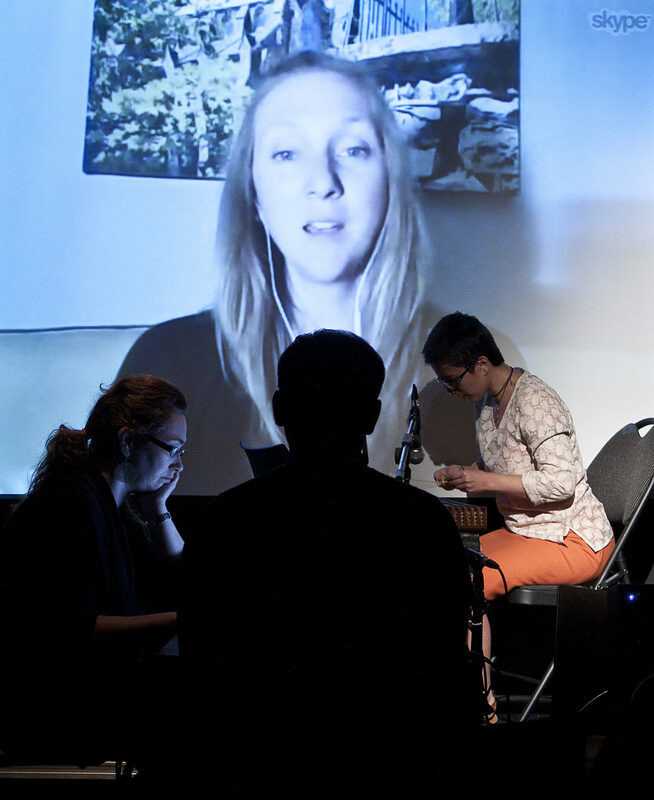 More recently the BBMC has presented member performances at the networked Corporealidades Poshumanas Festival, screened live, simultaneously, at the BBMC studio in Toronto, Canada and the Corporealidades Poshumanas Festival in Salvador, Brazil. The BBMC studio continues to be a pioneering force in the practice of networked performance and the animation technique of machinima (screen captured animation).